"This hotel is located within walking distance of the largest shopping centre and the nightlife of Kuta and Tuban. It is just a 5 minute drive from Bali's International Airport. The property features a spacious terrace facing the sea and/or the garden. 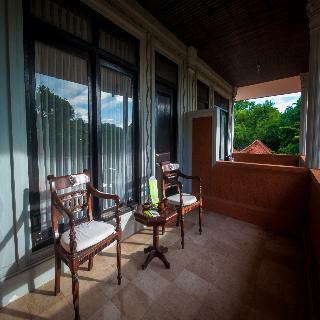 Each room offers a private balcony facing Kuta. The property has a swimming pool and children's pool. Sun loungers are laid out for use by the water's edge. The property offers some water activities, and spa and massage treatments are available to be enjoyed for an additional charge. A breakfast buffet is served. 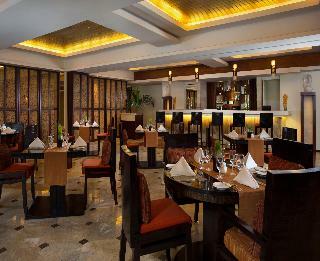 Lunch can be selected from menu options and dinner is available to be taken à la carte. Come and stay at this hotel and be assured of a warm and relaxing experience." 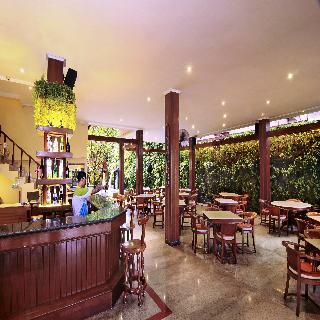 This hotel revels in its prime setting, lying at the heart of Kuta on Kartika Plaza Street. The hotel is situated just a short walking distance away from the main business centres and nightlife at the heart of the town. 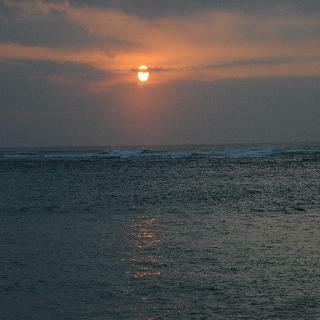 Kuta Beach is located just 200 metres from the hotel, while Denpasar is situated just 5 km away. The hotel is conveniently located just a 5 minutes' driving distance from Ngurah Rai International Airport. Set amidst luxuriant greenery and tropical splendour, the hotel boasts a stunning, Balinese design. The guest rooms provide a luxurious haven of peace and serenity, in which to escape the rest of the world. The rooms are well equipped with modern amenities, for the utmost in comfort and convenience. Guests can enjoy delectable dining on site, and are invited to take advantage of the host of leisure facilities that the hotel has to offer. 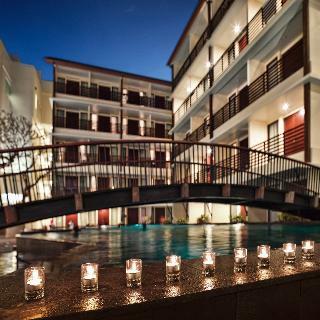 Strategically located in a peaceful village of South Kuta, this hotel is situated within walking distance to the beach as well as shopping mall, restaurants and tourist attractions. The airport is 20 minutes away. The hotel offers a large landscaped swimming pool with a children's area, tour desk and car rental and some souvenir shops. There is a meeting room and a banquet room on offer. All guest rooms have individually controlled air-conditioning, private bath with a shower, nicely-fitted living are and a balcony or terrace. Further amenities include satellite/cable TV, mini bar and tea/coffee making facilities. Outdoor swimming pool and Spa treatments are available. Discovery Kartika Plaza Bali is set amidst an oasis of 8 hectares of perfectly manicured gardens in a frontline beach position in South Kuta Beach. Situated amongst Bali's most famous sandy beaches, under the shade of coconut palms and topped off with renowned Balinese charm and hospitality the resort is a hidden gem.The stunningly natural surroundings are accentuated by the beautiful Balinese style of the resort. Featuring palm trees and waterways at every turn, the resort exudes tranquillity in an idyllic setting. The guest rooms feature a simply superb combination of dark wood with a splash of vibrant colour. This family-friendly resort offers something for all the family. The little ones will enjoy the games room, playground and kid's club to ensure they never get bored. There is also an entertainment centre and an array of activities that will appeal to the entire family. Centrally located in the heart of South Kuta, Bali's popular tourist enclave, favehotel Kuta Kartika Plaza boasts a prime address within walking distance to the “Number One Water Park in Asia”, and is just minutes from the famous shopping malls, the surrounding dining destinations, vibrant nightlife, art markets, and the legendary Kuta Beach.Combining style, functionality and great value for both business and leisure travelers, each of the modern, stylish and super clean rooms and suites feature cutting-edge 32” LED TVs, super fast internet connection, security key card systems, air conditioning, in room safes, and top of the line beds with high knot-count cotton linens. Guests can also enjoy a wide range of convenient facilities including five meeting rooms plus one rooftop meeting space, a rooftop café as well as a swimming pool for both adults and children. Located in the most strategic location in Kuta – 5 minutes from Ngurah Rai International Airport, within walking distance to the famous Kuta beach, Bali's major shopping malls, art market, Waterbom and many other attractions – Sun Island Hotel Kuta is an ideal choice for you who seek excitement and comfort in one package. Have a relaxing day at the pool, explore the fun our lively neighborhood has to offer, then sway in the evening entertainment in our bar & restaurant while savoring your dinner. With 3 meeting rooms, meeting facilities, and banquet support, Sun Island Hotel Kuta is also a trusted name for business meetings and events in Bali.Whether you are traveling for business or purely for leisure, our award-winning team will take care of you with attentive service. Sun Island Hotel Kuta is committed to making your stay truly delightful. This hotel is located beside beautiful South Kuta Beach. Conveniently situated, it is just a 5-minute drive from the airport and nearby plenty of shopping and entertainment opportunities, as well as bars. The popular Kuta Square shopping centre lies on the hotel's doorstep. The luxury hotel welcomes in a foyer and offers a pleasant café and a cosy pub. In the evenings, guests may pay a visit to the hotel nightclub. 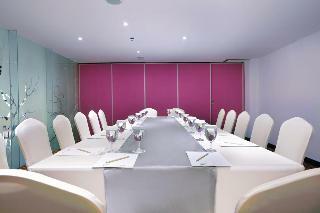 For business conferences and meetings there are conference facilities available. The comfortable, first-rate rooms comprise top quality fittings and afford terrific views out over the sea and the hotel's tropical gardens. In the tropical outdoor complex there is a swimming pool, a poolside snack bar and sun loungers. The extensive complex includes pretty pavilion areas, providing ample space in which to relax or enjoy water sports and other activities. This family-friendly hotel enjoys a central setting on South Kuta Beach. The hotel is situated just a 5 minutes' walking distance from Tuban Beach and the Waterbom Recreational Park. Guests will find themselves just a short distance away from The Discovery shopping centre, as well as a myriad of dining options and entertainment venues. Denpasar is located just 20 km away, while Ngurah Rai International Airport is conveniently situated just a 10 minutes' driving distance from this hotel. This wonderful establishment greets guests with warm hospitality and professional service. The guest rooms are beautifully designed, featuring simplistic style and a relaxing ambience. The rooms are well equipped with modern amenities. Guests will appreciate the host of facilities and services that the hotel has to offer.